American History: An Introduction provides ten classroom-ready American history units from Native Americans through the Civil Rights Movement. 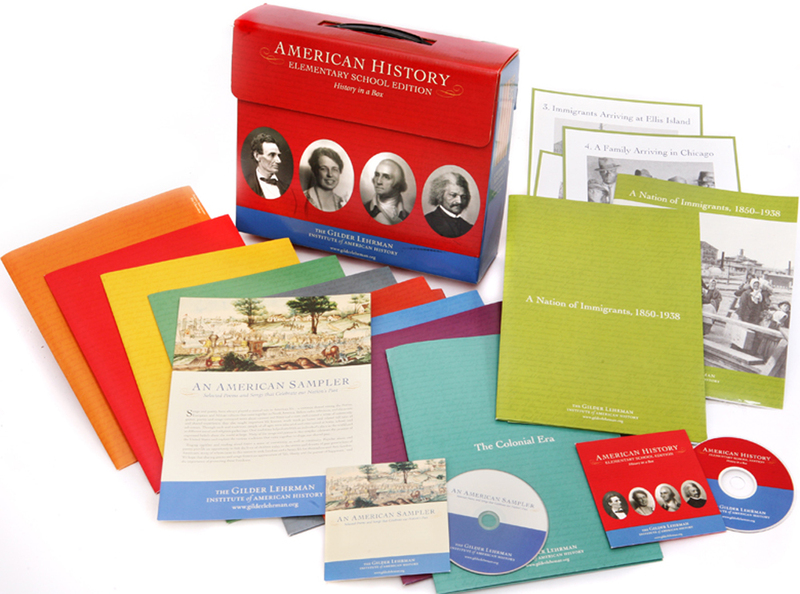 The box introduces critical topics in American history with hands-on activities including games, letters, poems, maps, songs, and posters. Document-based units encourage critical thinking and literacy skills for students. Ideal for grades 3–8, this box includes ten individual units. Each unit contains a resource booklet, posters, and placards. The CD in this box is An American Sampler: Selected Poems and Songs That Celebrate Our Nation’s Past.